Tolga has been the president and CEO of Linx Technologies since March 2011 when Alpine Investors, a San Francisco-based private equity firm, acquired Linx. Tolga has spent his career in senior management roles in industry as well as an investor in privately held companies. Most recently, Tolga was an executive-in-residence at Alpine where he worked with Alpine businesses to improve efficiency and evaluate investment opportunities including Linx. Prior to Alpine, Tolga held senior positions at Danaher Corporation, a Fortune 300 diversified industrial manufacturer. At Danaher, Tolga was vice president of marketing for Imaging Sciences International, the market leader in dental CAT scanners as well as the director of sales and marketing for Gems Sensors & Control, a leading provider of sensors, control and fluidic systems for OEM applications. Tolga holds two bachelors degrees from the University of Pennsylvania, including a bachelor of science in economics from the Wharton School and a bachelor of science in systems engineering from the School of Engineering and Applied Sciences. 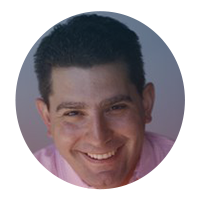 Tolga also holds two masters degrees from Northwestern University, including an MBA from the Kellogg School of Business and a masters of engineering management from the McCormick School of Engineering. Shawn has been the VP of Engineering for Linx Technologies since July of 2013, leading the team responsible for creating new products for Linx. 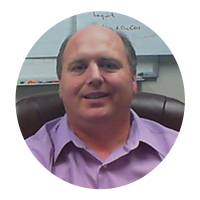 Shawn joined Linx in February of 2008 as Quality Manager, where he was responsible for documenting and launching the Linx Quality and Management System. Shawn took on the role of Director of Engineering for the Merlin design team following the acquisition by Alpine Investors in March of 2011. Prior to joining Linx Shawn held engineering management and technical contributor roles in the Hach particle counter division (now Beckman Coulter) within Danaher, A Fortune 300 diversified industrial manufacturer. At Hach Shawn was responsible for the execution of new product development, and the implementation and ongoing support of development process tools. Shawn was one of the key contributors in the creation and rollout of the Tollgate 2 (TG2) accelerated product development toolset corporate-wide within Danaher. Shawn was an early adopter within Danaher in the use of global product development (GPD) resources to augment internal development teams, including presentations at the Danaher internal Conference on Innovation (DCI) on the TG2 and GPD topics. Shawn holds both bachelors and masters of science degrees in Physics from the University of Washington. 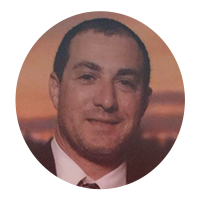 Jason comes to Linx from API/Spectrum where he spent 12 years advancing to a variety of in roles including: Regional Sales Manager, Director of Global Sales and Marketing, and General Manager. While at API/Spectrum, Jason successfully built and managed worldwide sales organizations with a mix of direct, indirect and distributors. Jason graduated from the Rochester Institute of Technology.